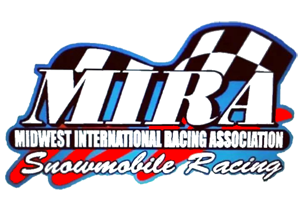 M.I.R.A., the Midwest International Racing Association, started in 1979. We began as a snowmobile enduro racing circuit with race events throughout the Midwest and Michigan. When it started, the races were “true” enduros, meaning that the “TC 250” was actually 250 miles, or 500 laps on the half mile track. As time progressed, M.I.R.A. added a sprint racing format to accomodate racers that didn’t want to race the long distances. In that time the enduros were shortened to 250-500 lap events to make room for the sprint racing. M.I.R.A. is a not for profit, member owned, and ISR certified company. Currently M.I.R.A. runs a full sprint racing program on Saturday, with the Kitty Cat 120’s and the main event enduro following on Sunday. The class structure is similar to that of most other sprint racing associations, which allows them to participate without having to make drastic changes to their equipment. The feature competitors in our enduros are the 600 Modified sleds. Click Poster to enlarger ! Lincoln Welders, Lincoln Electric will be the official welder of MIRA and will be providing product support. More details will be coming out soon. 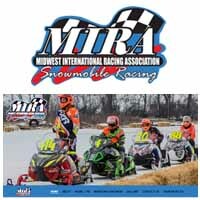 M.I.R.A., the Midwest International Racing Association, started in 1979. 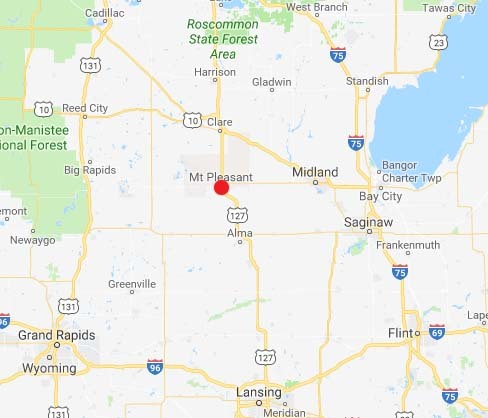 We began as a snowmobile enduro racing circuit with race events throughout the Midwest and Michigan. error: Sorry Can not do this... Content is protected !! Contact Brian or other photographers !